Contact St Pierre's Services, Inc. to schedule an appointment today! St Pierre's Services, Inc. is available 7:00 AM to 7:00 PM, 7 days a week! St Pierre's Services, Inc. offers flexible financing options. Contact us for more info. Whether you are in need of prompt repair service or seasonal maintenance. Contact St Pierre's Services, Inc. today! We protect your investment with prompt, professional repair and seasonal maintenance of all makes and models. St Pierre's Services, Inc. has provided exceptional service across St. Rose & surrounding areas since 1960, outlasting all of our competitors and proving ourselves a trustworthy source of indoor climate control. 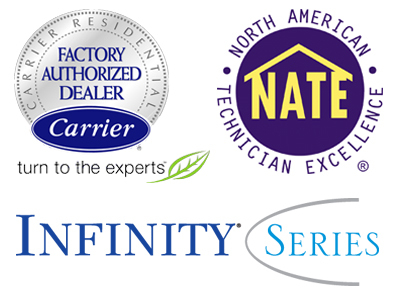 As a Carrier Factory Authorized Dealer, we are fully qualified to offer the leading heating, cooling, and air quality products on the market. Our NATE-certified technicians remain current with evolving technology and are equipped with leading-edge tools and a range of genuine manufacturer’s replacement parts, allowing us to resolve issues quickly. As a small, family-owned business, we stand behind our service and uphold strict standards of quality. 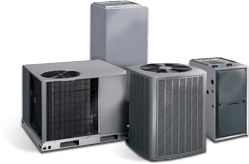 St Pierre's Services, Inc. offers a wide range of specialized residential and commercial services, including traditional and ductless heating/cooling installation, maintenance, and repair. We further protect your comfort, health, and budget with whole-home air quality improvement accessories, and duct replacement. Trust in our established history of a job well done, and know that our team is not only committed to your satisfaction, but will continue to serve your best interests in the coming years. Call our team today for all your HVAC repairs, service, and installations! St Pierre's Services, Inc. is a member in good standing of the Louisiana Heat Pump Association and ACCA. Available from 7:00 AM to 7:00 PM, 7 days a week, we provide 777 Service across Destrehan, St. Rose, Luling, Laplace & Des Allemands, LA. Restrictions apply. Please contact St Pierre's Services, Inc. for more details. © 2019 St. Pierre's Services, Inc.